Annuity rates are based on gilt yields and in particular the 15-year gilt yield is a key indicator of the likely direction for annuities in the future and should be followed by any pensioner retiring now. Since the recent financial crisis developed in June 2008 investors have moved their funds to the safety of government bonds and gilts and this has increased the price thereby reducing the yields significantly. The impact on annuity rates has been dramatic although there are signs that gilts are now improving. After reaching a low yield of 1.68% on 30 January 2015 they made a recovery over the next few years. Yields reduced to an all time low 0.90% on 11 August 2016 following the Brexit vote in the EU Referendum, an interest rate cut to 0.25% and £70 billion of quantitative easing. 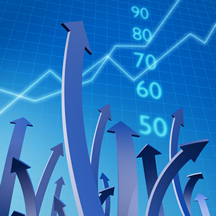 Factors such as the Federal Reserve and the Bank of England changing interest rates will have an impact on annuities sending rates higher or lower. The 15-year gilt yields have a significant effect on annuity rates which we update daily. Annuity rates are based on the 15-year gilt yields and are an important indicator of the likely direction for annuities. As a general rule a 20 basis point change (or 0.20% change in the actual yield) results in a 2.0% change in annuities. The 15-year gilt yield increased 28 basis points to 1.33% during March 2019 with providers of standard annuities decreasing rates by an average -1.73% for this month and we would expect rates to decrease by -1.07% in the short term if yields do not fall. 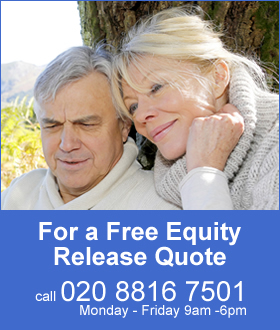 For smoker and enhanced annuity providers have decreased their rates by an average of -3.31% and rates may rise by 0.51% in the short term if yields do not fall. Table 1 above shows the 15-year gilt yields started the month at 1.33%. For the latest updates on how this affects annuities see Annuity Rates Review. Uncertainty in March 2019 over Brexit sends investors to safety of government bonds and gilts increasing the price and lowering yields as much as 33 basis points to 1.28% with providers reducing rates for annuities by -2.54% on average for the month. Continued geopolitical tension in January 2019 between the US and China with a fears of a slowdown in the US economy coupled with uncertainty over Britain's exit from the European Union and risk of a no deal is sending investors to the safety of gilts and bonds. Investors are selling bonds and gilts sending 15-year gilt yields higher to 1.73% in September 2018. This could be due to Trump's $200 billion of trade tariffs on Chinese imports and the risk China could retaliate by selling its large Treasury bond holdings to push up the cost of US borrowing. The 12 basis point recovery in yields during July 2018 was due to investors selling bonds around the world after Japan's central bank, the Bank of Japan, reviewed its monetary policy with the intention of reducing stimulus to increase inflation. Concerns over Italy's political turmoil in May 2018 are driving investors to sell Italian bonds in faviour of safe havens such as US Treasury, German Bunds and UK gilts. The crisis has sent the 15-year gilt yields lower by 31 basis points from a high for the month of 1.81% to a low of 1.50%. Figures show the UK economy in April 2018 are the weakest since 2012 with GDP at 0.1% for the quarter due to falling construction output and weak manufacturing figures lowering gilt yields and providers have reduced annuity rates for the month of May. The 15-year gilt yields are down in March 2018 after Trump unveils $50 billion of trade tariffs on Chinese imports sending stocks lower and investors fear economic uncertainty and seek the safe havens of government bonds and gilts. The 15-year gilt yields are up 25 basis points in January 2018 as investors expect a rise in interest rates from the US Federal Reserve in Mach and strong economic data for the US economy had seen investors selling bonds for other types of investments. Gilt yields reduce by 13 basis points in December 2017 as investors were disappointed with the European Central Bank (ECB) President Mario Draghi statement that due to the low inflation rate stimulus measures would remain. Interest rates rise by 0.25% on 2 November 2017. This is the first rise of interest rates since July 2007 from an all time low of 0.25% to their current level of 0.5%. The Bank of England has indicated future rises will be at a gradual pace and to a limited extent. Gilt Yields increased by 26 basis points to 1.67% during September 2017 following the Federal Reserve and Bank of England's strongest indication yet that interest rates will rise in the autumn. Increasing geopolitical tension in August 2017 between the US and North Korea over missile tests has seen investors seek safe havens such as gilts and bonds with the 15-year gilt yields reducing 18 basis points to 1.41%. In July 2017 the US Federal Reserve delays increasing interest rates due to weaker than expected inflation. In addition investors have doubts over President Donald Trump’s pro-growth policy agenda with funds moving to bonds and gilts sending yields lower. Yields were higher by 19 basis points to 1.62% during June with 24 basis points added in the last four days. The ECB President Mario Draghi stated the factors suppressing inflation are short term implying the €1.1 trillion quantitative easing (QE) programme would be stopped by the end of the year with investors selling gilts and bonds. The yields for May were as high as 1.60% after Macron won the French election but soon headed south with concerns over Donald Trump's dismal of FBI Director James Comey followed by mixed economic data on US housing and industrial output. Gilt yields reached a low of 1.37% in April down 51 basis points from the high of 1.88% reached in January 2017 due to geopolitical uncertainty after worries over the elections in France, the US conflict with Syria and tensions with North Korea send investors to safe havens of gilts and bonds. The election of Donald Trump to US President in November 2016 has seen investors sell bonds and gilts increasing yields. The expectation is for higher infrastructure spending increasing inflation and the Federal Reserve raising interest rates. In October 2016 a combination of factors is driving yields up to close at 1.61%, the highest level since the EU Referendum. Investors anticipate the Federal Reserve are likely to increase interest rates before the end of the year. The Bank of Japan and Europe Central Bank are reaching the limit of buying long-term government bonds and this is helping a sell off in bonds. OPEC are close to agreeing a deal to cut the supply of crude-oil which may see the price rise from the current level of $50 a barrel and this could push up inflation. The 15-year gilt yields reached another all time low of 0.90% on 11 August 2016. The Brexit vote has resulted in the 15-year gilt yields reducing by 52 basis points reaching an all time low of 1.41% on 30 June 2016. The governor of the Bank of England announced measures for a further £250 billion of Quantitative Easing (QE) should this be required and possible reduction in interest rates from the current all time low level of 0.5% since 2009. Uncertainty over the 2016 EU Referendum and the possibility of a Brexit vote has seen investors seek the safe havens of bonds and gilts sending the prices higher and yields lower. In April 2016 European Central Bank (ECB) President Mario Draghi has hinted on reducing deposit interest rates sparking a sell off of global bonds and a 14 basis point rise in the 15-year gilt yields. Volatility in February due to fear of a global slowdown sends yields to a low of 1.68% before recovering back to 1.92%. In January 2016 the 15-year gilt yields reduced 36 basis points as investors seek safe havens following fears of over a slowdown in China and lower oil prices sending equity markets lower. The Federal Reserve in October 2015 hinted on increasing interest rates in December sending yields 13 basis points higher to end the month at 2.23%. Uncertainty with a Chinese economic slowdown and Federal Reserve unclear decision over interest rates in September sends yields to a lower level of 2.12%. Yields have increased from the recent level of 1.97% to as high as 2.35% following investors dumping US Treasury notes, German Bunds and UK government gilts at the beginning of June 2015. This follows improved economic data from Europe and the Federal Reserve delaying an increase in interest rates until later in the year. The 15-year gilt yields reduced by 98 basis from 2.66% at the end of October to 1.68% on 30 January 2015, the lowest ever level. This was due to economic factors such the ECB is to starting a €1.1 trillion stimulus programme of quantitative easing buying corporate bonds and sovereign debt as well as uncertainty such as the falling oil prices, deflation in the Eurozone, poor economic data from China and high interest rates from Russia. The Federal Reserve finally ended quantitative easing in November 2014, 6 years after it started tapering the $85 billion a month programme back in 2008. The 15-year gilt yields have not reacted to the announcement as the effect of no stimulus had been discounted by the market by December 2013 when yields reached 3.47%. Increasing uncertainty in Ukraine over Russian intervention, conflict in the Middle East threatening military action from Western economies and the threat of deflation in the Eurozone requiring action from the ECB in the form of Quantitative Easing have seen investors transferring investments to safe havens. The 15-year gilt yields have reduced 51 basis points from 3.21% on the 4 July to 3.70% by 31 August 2014. The Governor of the Bank of England Mark Carney has stated that interest rates will be kept at the current rate of 0.5% for some considerable time when the market expected rates to increase by the end of this year. The 15-year gilt yields reduced from from 3.20% to a low for this year of 3.03%. In December 2013 the Federal Reserve reduced the $85 billion a month stimulus package by $10 billion to $75 billion after a series of positive US economic data sending prices for bonds lower and yields higher. The US Fed has since aimed to reduced the stimulus by $10 billion per month to the current level of $25 billion a month. In August 2013 the US Federal Reserve announced tapering of the stimulus package resulting in a sudden fall in equity and bond markets and a rise in yields. With Bank of England fixing interest rates to 0.5% until mid 2016 with the "forward guidance" policy markets immediately ignored this with further rises in yields. As growth returns to the Eurozone investors are moving funds away from safe havens such as bonds and gilts helping yields higher. Investor confidence was knocked in July 2013 after the US Federal Reserve announced the end of the $85 billion per month of stimulus known as Quantitative Easing. This decreased the price of bonds and gilts deflating a bubble building in the market. As a result the 15-year gilt yields increased significantly to the benefit of people retiring. In January 2013 the US managed to negotiate a deal between President Obama and the Republican House of Representatives over the fiscal cliff to avoid the implementation of $600 billion of spending cuts and tax rises. This avoids the US heading back into recession and has boosted market confidence resulting with investors moving funds away from safe havens such as UK government gilts to higher yielding investments thereby reducing the price and increasing the yield of gilts. This is likely to increase annuity rates in due course. Gilt yields decreased in July 2011 due to the UK government injecting £50 billion of funds into the economy using Quantitative Easing (QE) as well as investor fear over Spain's debt which resulted in their 10-year bond yields increasing to 7.66%. This is beyond the 7% level that would trigger a sovereign bailout as seen in Greece, portugal and Ireland. At the end of October 2012 the Spanish yields had reduced to 5.5%. Gilt yields stabilised as the European Central Bank (ECB) announced a plan to do "whatever it takes" to save the euro and buy sovereign debt of countries that need a bailout.